Keep Santa Fe Beautiful was created in 2002 by seven community members, through the Keep Texas Beautiful affiliate program. Through hard work, dedication, and passion for keeping Santa Fe beautiful, these leaders embarked on the journey to establish Keep Santa Fe Beautiful as a non-profit. On October 17th, 2003, Keep Santa Fe Beautiful was officially recognized as a 501(c)(3) by the state of Texas. That same year, Keep Santa Fe Beautiful successfully restored and recovered several unsightly and abandoned commercial sandpits along on Highway 6 in Santa Fe, near the local High school. An act that would receive honorable mention at the Keep Texas Beautiful Governor's Awards banquet and recognition through local media. In the following years, Keep Santa Fe Beautiful maintained a beautiful partnership with the City of Santa Fe, Galveston County, and Keep Texas Beautiful to conduct bi-annual tire recycle and cleanup campaigns for the Santa Fe community and surrounding area. 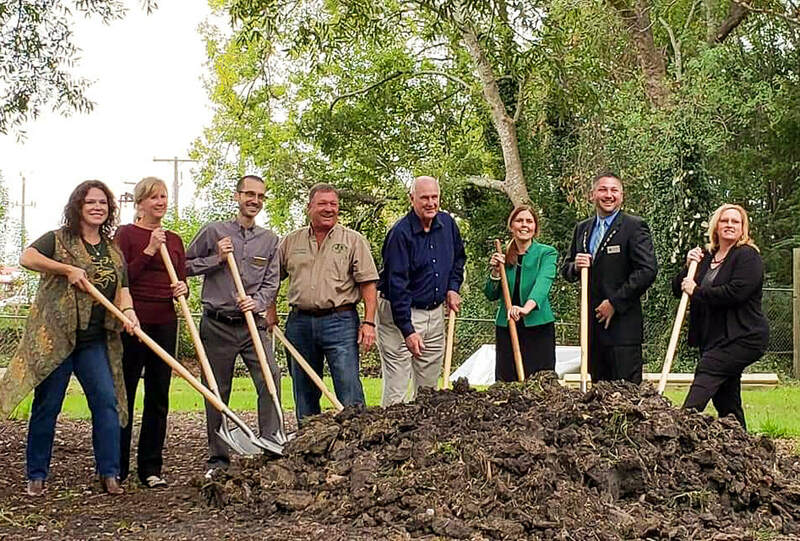 After tragedy struck the community twice in less than one years time, new leaders solidly agreed to revitalize the organization to lead a transformation project of a small underutilized park into a serene space of beauty for comfort and community restoration.